This entry was posted in ammunition, rifle, self-defense, weapon and tagged 380ACP, AllOutdoor, semi-auto. Bookmark the permalink. I own a 4095 and like it fairly well. 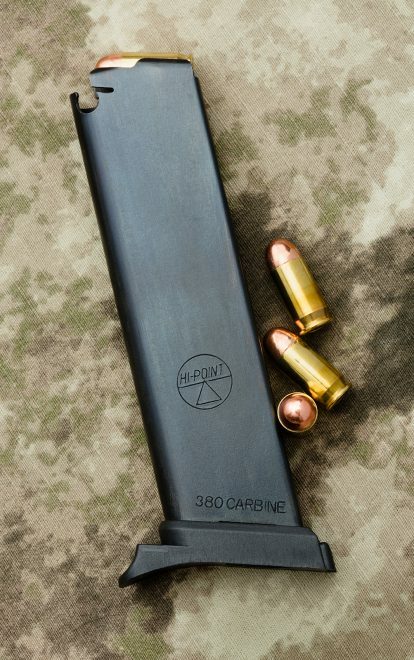 Personally, I wouldn’t be interested in a .380 version, although I see several benefits of it. 1. Relatively quiet firearm, being subsonic, and having minimal blast out of a carbine length barrel. This should be no louder than a .22lr. 2. Minimal recoil for the truly recoil shy (wimpy folks) or the elderly and or disabled folks. 3. Ammo compatibility if a .380 pistol is your only other defensive firearm.